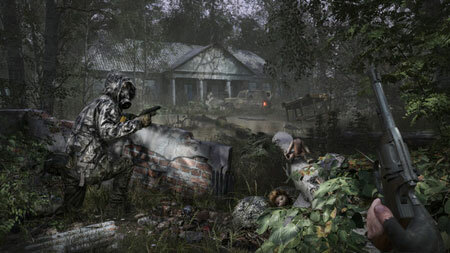 Chernobylite is a science-fiction survival horror RPG from The Farm 51, mixing the free exploration of its disturbing world with challenging combat, unique crafting, and non-linear storytelling. Try to survive and reveal the twisted secrets of Chernobyl in the 3D-scanned recreation of the real Exclusion Zone. Play as a physicist, one of the Chernobyl Power Plant’s ex-employees, and investigate the mysterious disappearance of your beloved. Try to survive and reveal the contamination zone’s twisted secrets. Get ready for a thrilling adventure of survival, conspiracy, horror, love, and obsession. It’s your decisions that determine the fate of your companions. You can spend as long as you need preparing, be aware that your story is still being written. Every passing moment, your chances of success are dwindling. Supernatural dangers are arising around you in mysterious patterns. Each day brings new challenges with the ever-increasing severity of your current situation. Craft your gear and weapons to protect yourself from the hostile military personnel and supernatural threats lurking in the zone. Decide what happens in the world around you by making choices and finding, or avoiding, the truth. If you get stuck in the game, check out the video walkthrough and gameplay for the game. This entry was posted in PC Games, Walkthrough and tagged Chernobylite Cheats, Chernobylite Gameplay, Chernobylite Guide, Chernobylite Strategy, Chernobylite Walkthrough by Marvin. Bookmark the permalink.